You’d be forgiven for thinking that once you’ve seen one wedding, you’ve seen them all. But think again! Just like trends in the fashion industry change from season to season, so does what’s hot and what’s not in the world of weddings. The fact of the matter is that each season brings with it a wealth of new wedding trends and it’s one of the things we love the most about what we do. Each year, or indeed each new season, we look forward to seeing how one of the most creative industries brings together new ideas to offer couples a wedding day with a difference. Because the wedding industry is so fast paced and we work with brides and grooms a year or two before their big day, we’re already getting a glimpse into what you can expect to see next year. With more and more couples looking to set their day apart from any other, we’re loving the unique ways they’re injecting their personal touch into their weddings. So, if you’re wondering what new wedding trends for 2017 – 2018 will be popping up, here’s a round-up of what we at Weddings at Tiffany’s predict is on the horizon! 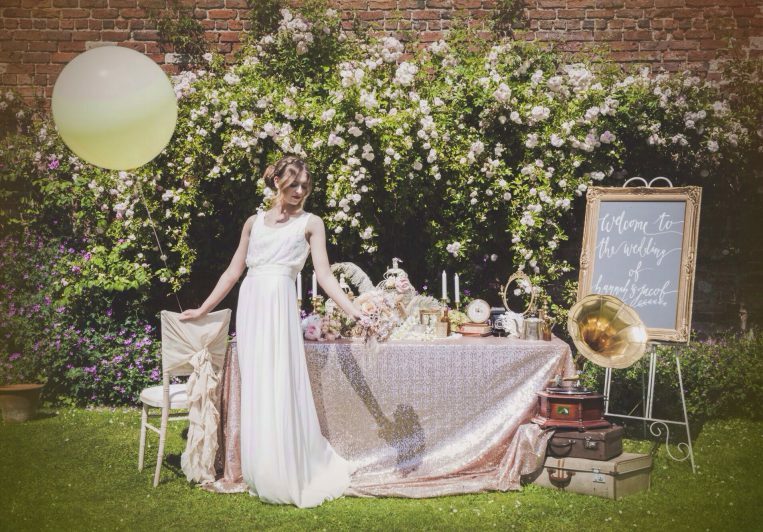 One of the wedding trends for 2017 – 2018 that we’re most excited about is a shift from vintage vibes in favour of bohemian chic, combined with oodles of glamour. Brides and grooms are saying goodbye to a bygone era of everything flowery and adopting a more modern approach, combining lashing of sparkle, shimmer and shine in a classically chic way. 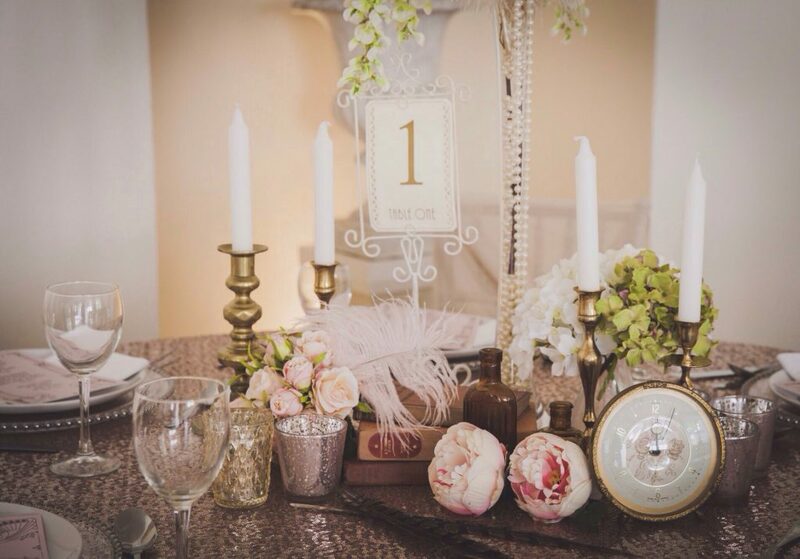 Think sparkly sequinned table cloths, beautifully adorned with glittery jam jars and fabulous floral displays. Couples aim to let their day be a representation of them, bringing in a touch of elegance, romance and most of all, fun. That moment of entering the reception room offers guests one of the biggest ‘wow’ moments of the day, so it isn’t surprising that wedding couples are seeking décor with a difference. 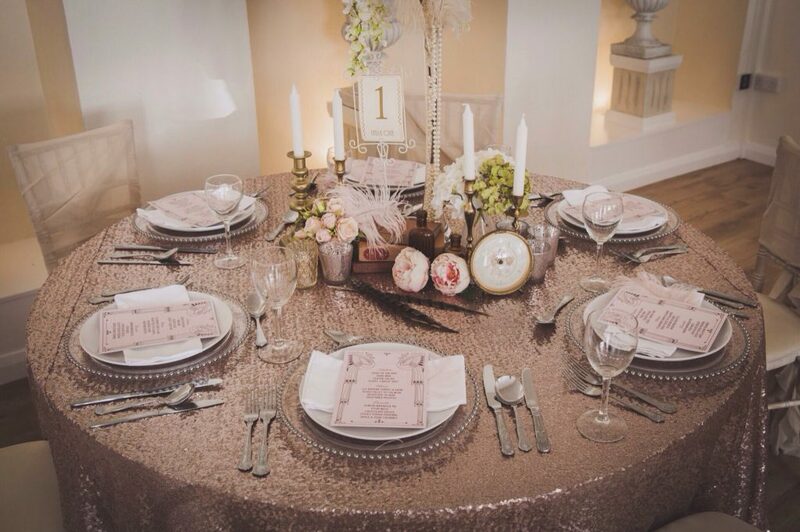 Cue metallic sequinned tablecloths. Available in a multitude of colours, these look amazing on a feature table, such as the top table or one to display that show stopping cake or guest book. 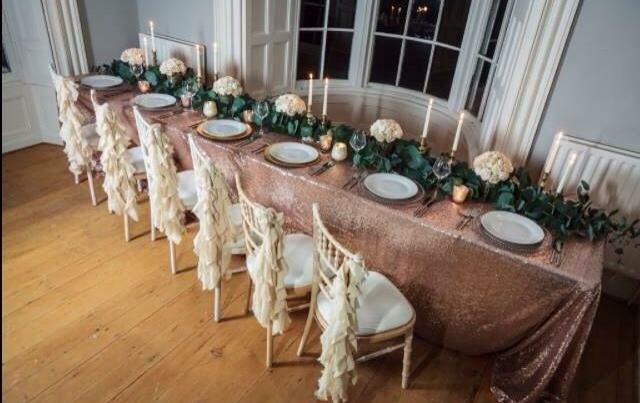 No matter what venue or wedding theme you choose, rose gold is always a winner! The great news is that it can be used in various ways such as presenting of the rings, the lanterns for the aisle or table overlays and runners. 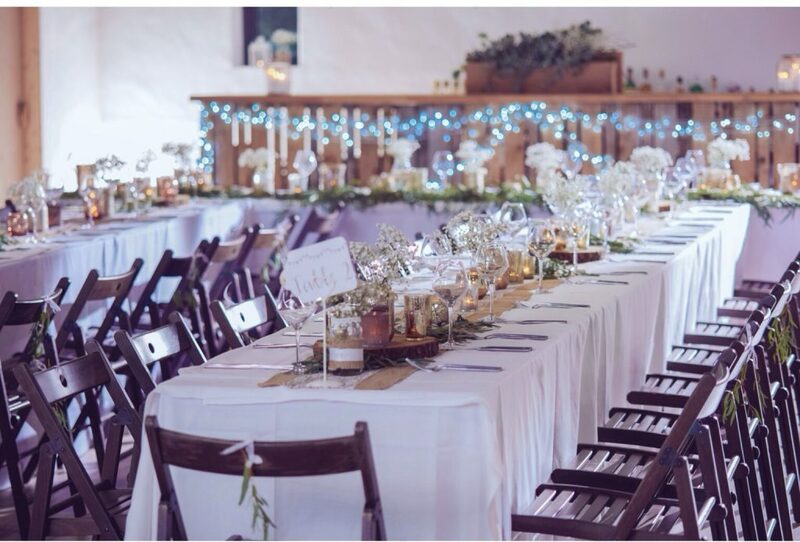 With more and more couples straying from the traditional hotel circular tables in favour of longer, rectangular tables, to offer a more intimate setting, it was only a matter of time before barn style weddings became a big thing! 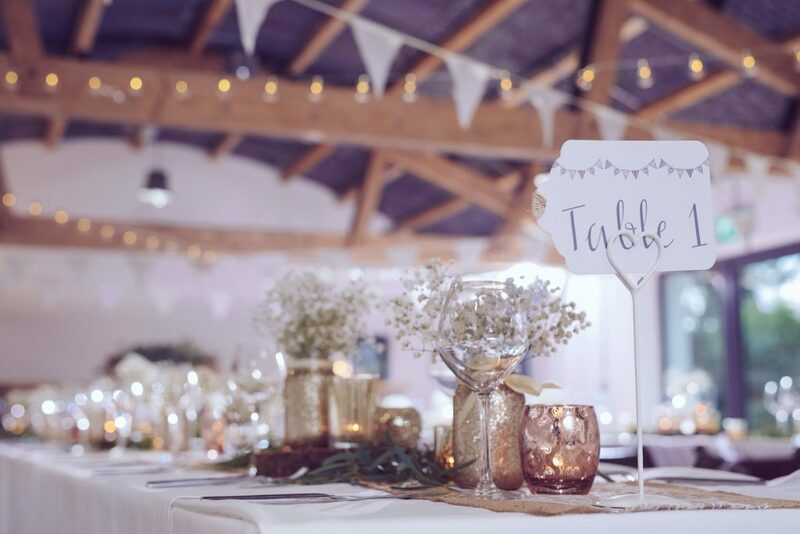 This style of wedding reception allows couples to get creative, bringing the great outdoors inside, with lashing of bunting, small light bulbs delicately draped from the ceiling and personalised chalkboards with greetings for guests, adding the perfect finishing touches. As mentioned, for wedding trends for 2017 – 2018, we are seeing a real affinity for finishing touches with a difference. With couples looking for unique ways to add a spin to their day, expect a move away from matching centrepieces, in favour of mismatched candles, which add even more romance to the reception room. When it comes to props, don’t rule them out for your big day. Large balloons finished with fabulous fringing create real visual points around the room, which definitely gets guests’ attention. Plus, they have the added bonus of adding a distinctively different backdrop to those all important wedding photos. 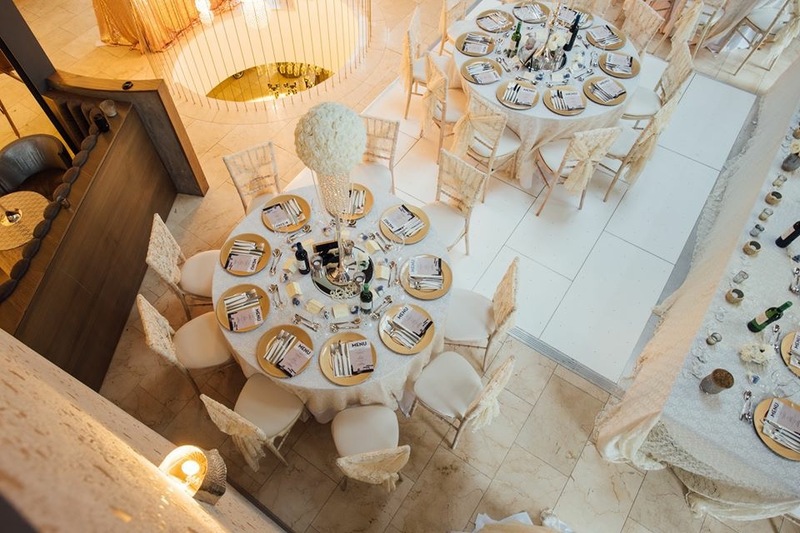 Here, at Weddings at Tiffany’s, we have already been lucky to incorporate these new wedding trends, making us the first choice with couples who seek wedding decor in Northern Ireland. Whether you’d like to go traditional or add something a little bit different to your wedding day, get in contact with us here and let us help you create the day of your dreams. Call us today on: 07955050861 or email: info@weddingsattiffanysni.com.